For many listeners, the word “gospel” conjures the sound of large African-American Southern choirs singing joyous songs of celebration. These choirs began singing traditional spirituals and later evolved into close knit, small groups that were the blueprint for doo-wop groups (All Media Guide). However, the Canton Spirituals have become more than a doo-wop group. The Canton Spirituals are often described an accomplished gospel quartet that has paved the way for many gospel groups and singers. Founded in Canton, Mississippi, the original group included the songwriter and singer, Harvey Watkins, Sr., who began to sing in the group at the age of fourteen, and the other original members: Eddie Jackson, Theo Thompson, and Roscoe Lucious (Mississippi Almanac 1997-1998).The Canton Spirituals has remained the number one gospel music quartet in the country. They represent the best of the past and present in gospel music (i music). The current lead singer, Harvey Watkins, Jr. has been singing and performing with the group since he was a young child. Watkins attributes his interest in music to his parents. Watkins’s father and mother are still the most important persons in his life. Since The Canton Spirituals’ founding, they have been through heartaches and pains and many people have left the group. Presently, The Canton Spirituals members (Wallace Strickland, Victor Allen, Ralph Loften, Michael Richardson, Merlin Lucious, Cornelius Dwayne Watkins, and Rufus Mapp) are under the direction of Harvey Watkins, Jr., since the passing of his father, Harvey Watkins, Sr., who died of cancer in Jackson, Mississippi, on November 16, 1994. Harvey Watkins, Sr., until his death, was the only original member with the Canton Spirituals (Mississippi Almanac 1997-1998). In the city of Canton, Watkins’s song- writing skills, music and legacy will remain an important part of not just the city of Canton’s history, but America’s history also. In July 1994, Watkins received a Legend Award at the Mississippi Gospel Music Awards. During the same month, Second Street in Canton, Mississippi, was renamed Harvey Watkins, Sr., Street in his honor (Mississippi Almanac 1997-1998). The Canton Spirituals have always kept God as the cornerstone of their life and music. Their music, according to one source, reflects the “heart”and “soul” of this rich genre and is perhaps the primary reason why they have such a loyal following (i music). The Canton Spirituals have received numerous awards due to their dynamic and melancholic music. In Harvey Watkins’ hometown of Canton, Mississippi, The Canton Spirituals received a Concurrent Resolution 557 in February from the Mississippi Legislature during their 1998 Regular Session honoring them for receiving two Stellar Awards at the 1997 Stellar Gospel Music Awards and for being the only gospel quartet in America and the only Mississippi gospel artist to achieve such honors (Blackmon). The Canton Spirituals have also received the 1998 Excellence Award for Quartet of the Year-Traditional and LP of the Year- Traditional (Mississippi Almanac 1997-1998). The Canton Spirituals have also won Group/Duo of the Year and Traditional group/duo at the thirteenth annual Stellar Awards (gospelcity). Their album, Live in Memphis I, received a Grammy nomination. They appeared at the awards show in April 1994. was also the longest running album on Billboard’s Gospel Music Chart as of November, 1994 (Mississippi Almanac 1997-1998). They are currently a part of the Gloryland’s Gospel Music Top 15 Quartet Albums – 1st half of December, 1998 (geocities). Other awards and accomplishments include numerous Stellar, GMWA, Excellence, Dove, Soul Train, Urban Network Awards, and several Grammy Award nominations (i music). The Canton Spirituals put their heart and soul into their music. Listeners can only wonder if this is what contributes to their rising success. 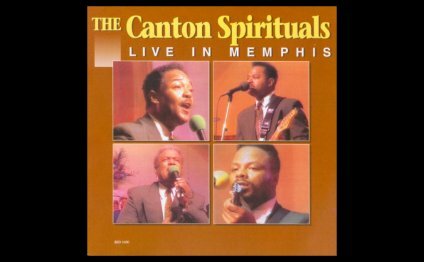 The Canton Spirituals have become loved and admired not only because of their ability to sell their music, but also to sing gospel effectively, change lives and people’s views on life, and, most importantly, spread the story of Jesus and the things he does for them and what he can do everyone else. 1994 – Secondth Street in Canton was renamed Harvey Watkins, Sr.
Harvey & The Canton Spirituals"Heavenly Choir"